The rumors were true, Research In Motion and Cingular today announced the BlackBerry 8700c. It's the first device in the 8700 series, though we expect more to launch soon. RIM notes that the 8700c features a, "completely re-engineered device platform." 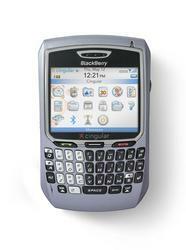 The BlackBerry 8700c will ship from Cingular Wireless starting on November 21st for $299.99 with a 2-year contract.